10 Ancient Irish Spells, Just in Time for Halloween! Everyone knows that on October 31, witches, ghouls, and other beasties come out to play, and magic is in the air. 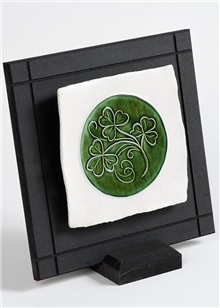 Of course, we at EverIrishGifts.com put our faith year-round in the power of the shamrock to bring luck and good fortune and to ward away evil. Now this is what we call a lucky charm! However, since Halloween will soon be here, perhaps you’d like to try your hand at the folk magic of ancient Celtic witches and druids. Whether you are seeking a spell for love, luck, or healing, emotional charms, or even potency, these charms and spells will have something for you. But remember, if all else fails, we’ve got plenty of other lucky shamrocks — shamrock jewelry, shamrock money clips, and even shamrock whiskey flasks — just in case. On the night of a full moon, walk to a spot beneath your beloved’s bedroom window. Whisper his/her name three times to the night wind. The night breeze is believed to have a guardian who is compassionate toward requests from mortals between midnight and 1:00 a.m. (the witching hour). Place two keys in a sieve, cross ways. Two people hold the sieve while another makes a cross sign on the forehead of the suspected thief, calling out his or her name loudly three times. If the person is innocent, the keys will remain stationary. If the person is guilty, the keys will start to revolve slowly around the sieve. You will be lucky with this one. You will need a candle, some string, and a trinket. Repeat this three times, then wear the “necklace” around your neck. The more you do this, the more powerful the charm will be. This spell makes you prettier than you think–just follow the instructions. Say it three times and when you are finished, light a pink candle or incense. Take a piece of parchment or fine quality writing paper and inscribe the name of the target. Write it in a circle twice, so the ends meet. As you do this, concentrate on the person’s face and your desire for them to call you. Then, while still concentrating, put a needle through the center of the circle created by the name. Place the charm by the phone. The call will come within five minutes, five hours, or five days depending on how well the spell was cast and how much willpower was used. In ancient Ireland, it was customary for a man to braid a bracelet from his hair and give it to the woman he loved–a gift of trust–knowing what can be done to people magically if you possess their hair. The binding is not activated unless she accepts the gift, thus accepting him and agreeing to the spell. This is not a binding that can be imposed on another person without their knowledge. Take the feather of a black rooster, go to the crossing points of three fairy-paths, and while holding the feather and a gold-colored coin, call the name of the Goddess Áine three times, to bring you everlasting prosperity. Two ounces of cochineal, one ounce of gentian root, eight grams of saffron, four grams of snakeroot, four grams of salt of wormwood, and the rind of 10 oranges. All of this should be steeped in a quart of brandy and kept for when it is needed. Be careful to ensure that no portion of the water is dirtied. Whatever is left over after the procedure must be poured onto a fire. Thanks to the magical folks at IrishCentral for providing information on the spells. Antique maps of Ireland are beautiful and might be just as helpful in assisting the modern Irish Post Office to deliver the mail as they might have been in the 1800s. Why? 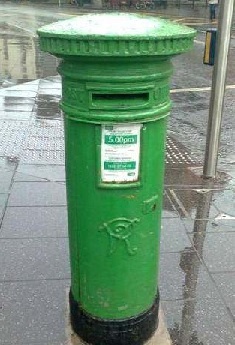 Because Ireland today, even with its technology-driven economy, does not use any postal codes. Many parts of rural Ireland don’t use street addresses, and some don’t even use street names. The Wall Street Journal reports that more than a third of Ireland’s official 2.2 million residential addresses refer to more than one household, which makes delivering mail quite a challenge in a country full of Murphys, Kellys, and Callahans. The modern world’s first postal codes seem to have been used in London in 1856, while the U.S. first started to use ZIP codes to help mail delivery in 1943. The U.S. Post Office was forced to use the codes during World War II when new mail carriers, unfamiliar with the neighborhoods, were replacing those carriers who had been sent off to the war. As sorting equipment has become more advanced, ZIP codes have gone from five digits to nine to some as long as 31 digits, which show up as bar codes at the bottom of the envelope. Now it appears that the last holdout, An Post, Ireland’s postal service, will scrap the antique maps of Ireland, the cheat sheets that some carriers carry with handwritten names of residents on their route, and its private internal code system kept hidden from the public. Next spring, it will roll out its own postal code system. Now, when three Kevin Callahans live in the same County Tipperary town, the post office won’t have to deliver mail first to the one who has been there the longest. Of course, there is still nothing quite like physically holding an antique map of Ireland to revel in its charm, color, and detail, all laboriously made by hand. 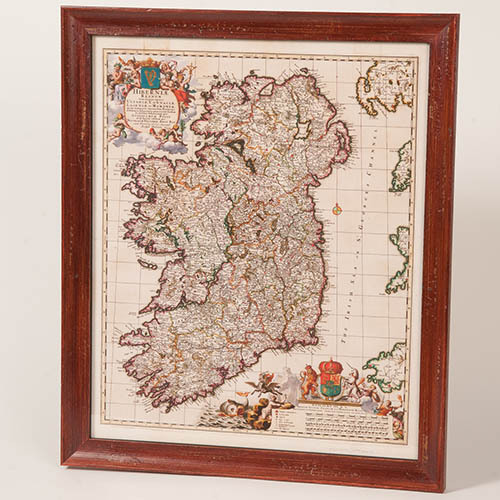 http://www.EverIrishGifts.com has a large selection of stunning reproduction antique Irish maps, in the form of a paperweight, coaster, and good old map, all attractively presented in elegant handmade paper packaging. Browse the selection at http://everirishgifts.com/products/Irish_Maps.aspx.